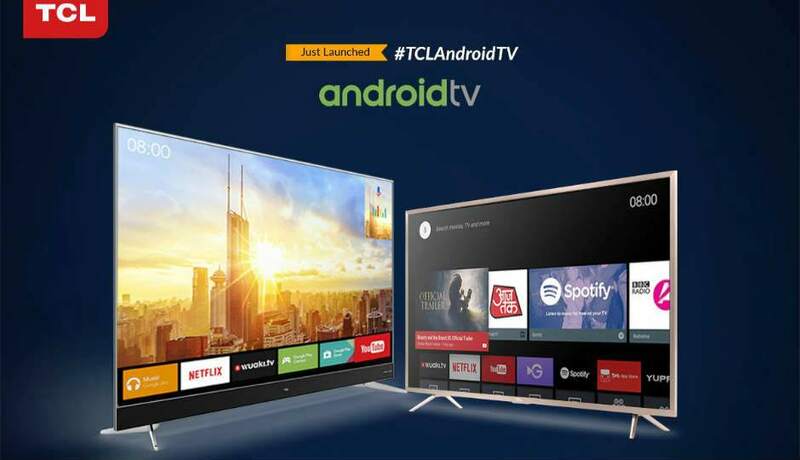 TCL Launches 4K UHD Android TV Smart Series C2 and P2M in the Indian market. Along with Google certification and Harman Kardon Technology, TCL is ready to redefine the smart TV segment. TCL, the world's third largest TV maker, launched its new TV series in India in 2017. With the launch of this series C2 and P2M smart TV Android 4K UHD certified by Google, TCL will take the lead in the introduction of the next Smart TV generation bringing Android TV to the Indian market. TCL 4K UHD Android TV will offer customers a lot of smart features - official Google certification, HDR Pro Harman Kardon speakers, Wide Gamut colour, Netflix and Super Narrow bezel along with an impressive picture and sound quality. Designed to offer customers a first-class experience in large screen entertainment, TCL C2 and P2M Series will be available in two sizes of 65inch and 55inch, respectively. Praveen Valecha, Regional Director of TCL India commented, "Smart TV is the future of television." With rapid digitalization, there is a paradigm shift in customer preference towards smart features. And is expected to reach Rs 54,000 crore by 2017. These new releases will help us make strong forays into the smart TV market. " C2 and P2M will be available for pre-bookings on the Amazon platform from August 9 to August 15. The C2 series will be available at INR 109990 / - for 65inch. The other offer, P2M, has a price of INR 99990 for 65 inches and INR 62990 for 55 inches. The pre-order offers an excellent benefit to the customer - by purchasing 65-inch and 55-inch TCL android TV, customers will get a 32- and a 24-inch TV free respectively. By September, they will also be available at most TCL offline stores and online stores as well. Mike Chen, Country Manager, TCL Multimedia, said: "The new TCL TV range is a potential gaming changer in the smart TV segment. Both C2 and P2M have exquisite features to give our customers a whole new experience in The experience of the vision of TV.After today, our new products will be available exclusively through Amazon.In a month from September, our products will be available in our stores online and offline. The new series has smart features to enhance the viewing experience and abundant content driven by Google Android TV OS, Netflix and more. Android TV OS is certified by Google, which is specially optimized for the television to enjoy high-resolution entertainment on a large screen. With these new releases, TCL would be only the second player in the Indian market to have Google certified Android TV. Both C2 and P2M give users access to a wide range of Google content, such as Google Play Store, Games, Music, Movies and TV, Google Cast and Voice Search. With the Google Play Store, users can search and install all TV-editing applications for games, movies, shows, music and sports, which are customized for TV with high-resolution display and TV control mode. Google Cast allows users to cast their favourite videos, games and apps from their mobile devices, in full quality to the TV. With voice search, users do not have to look through the complicated navigation bar or do any tedious typing - they can simply let Google do it for them, giving instructions. What's more is that both C2 and P2M enter with Netflix App, the leading video streaming service provider in the world. This will allow customers to instantly watch thousands of TV episodes and movies with 4K and HDR options. To support the Android TV operating system and the many features that enhance the experience, the new TVs come with strong hardware - A53 1.5Hz central processor, dual Mali T860GPU core, 2.5GB DDR3 RAM and storage 16 GB. The new series comes with the guarantee of perfect image quality through HDR Pro, WCG, 4K UHD and Micro Dimming technologies. In the C2 series, the wide range of colour technology can offer the purest LED backlight and display an incredibly wide range of colours to effectively enhance the liveliness and sense of the reality of colours as well as richer layers from the image. Micro attenuation is designed to achieve great contrast by analysing video content in hundreds of separate areas and adjusting the brightness and darkness of each of them separately. Combining all these technologies on the 4H UHD screen, C2 can deliver an impressive visual experience. The supreme image quality of the C2 and P2M series is compatible with HDR Pro, which produces dazzling image details with precise reproduction of light and dark tones. Pro allows the hardware and software to fully reach the HDR standard. It delivers perfect HDR image quality and enhances colour richness in dark environments. The new series boasts of the impressive sound quality delivered by Harman Kardon's speakers and Dolby and DTS technologies. C2 offers the best sound experience with Harman Kardon loudspeakers placed in front of the front so that the sound transmits to viewers directly without interference and reduced quality. Both C2 and P2M have DTS decoding that enables lossless audio decoding and creates a rich sound field that reproduces the sound of live studio recordings. The Dolby decoder is capable of generating surround 5.1 surround sound. TCL's Smart Intelligent Volume feature can automatically adjust the sound volume to eliminate sudden fluctuations in sound, typically experienced when changing channels or during TV commercials. With the artistic design featuring Super Closing Bevel, TCL C2 - one of the 2017 Reddot Award winners is a piece of magnificent artwork. The slim design combines function and fashion into a supreme show of elegance. P2Mon the hand has gold metal material, super narrow bezel, will provide you with unlimited viewing experience and pure echo sound. With the inclination of consumer preference towards smart features, the market potential of smart gadgets in India is huge. To strengthen its position in this growing market, TCL launched Movetime in July; A usable device with built-in gesture control technology along with the ability to keep track of calls and messages. TCL will also soon present its LIFE Home Monitoring Kit smart home solution. This smart security kit will be available with a complete set of smart and discrete products including camera (LIFECAM), door and window sensor (LIFESENSE) and motion detector (LIFEDETECT) that alert users of any intrusion. All peripheral devices will be connected to a central hub and can be accessed through a dedicated application.